Cambodian Resort is a new boutique style hotel which is located just 200 meters from the best premier beach of Sihanoukville in Southern Cambodia. Moments away from the bustling nightlife, lavish entertainment and a variety of shopping areas. The resort comprises of 60 spacious and modern rooms, beautifully furnished and equipped with everything needed to make your stay as comfortable as possible. 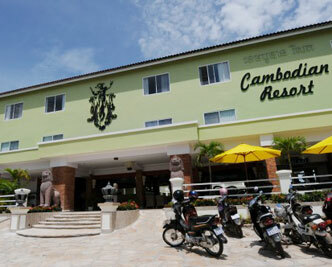 Cambodian Resort, a luxury resort in Sihanoukville for guests with a taste for the spectacular. Come and discover Sihanoukville for yourself. A great place to unwind in a tranquil atmosphere.